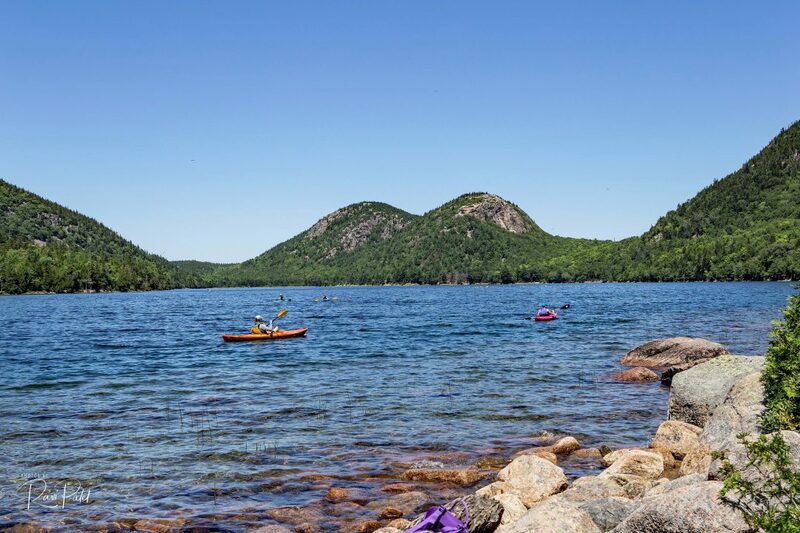 The North and South Bubbles (mountains in the background) are synonymous with a visit to Jordan Pond in Acadia National Park, Maine. They are so prominent on the northern horizon. 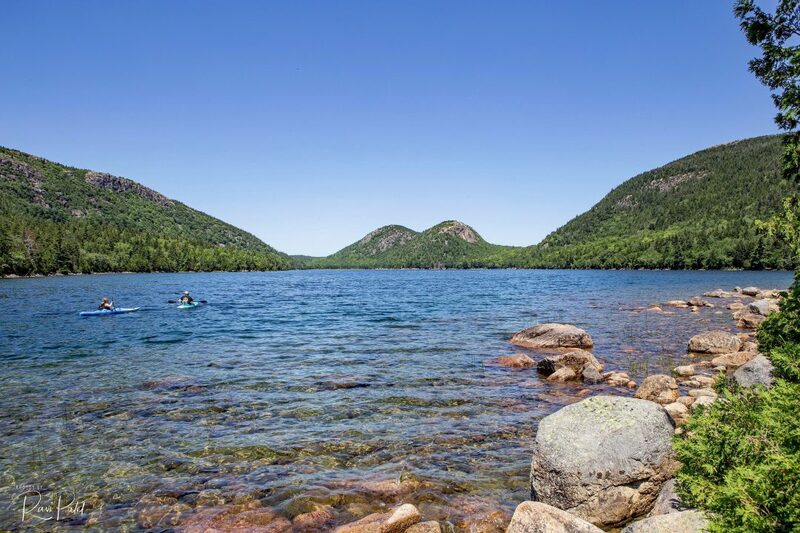 Jordan Pond is in Acadia National Park near the town of Bar Harbor, Maine. It covers 187 acres, with a maximum depth of 150 feet and a shoreline of 3.6 miles. 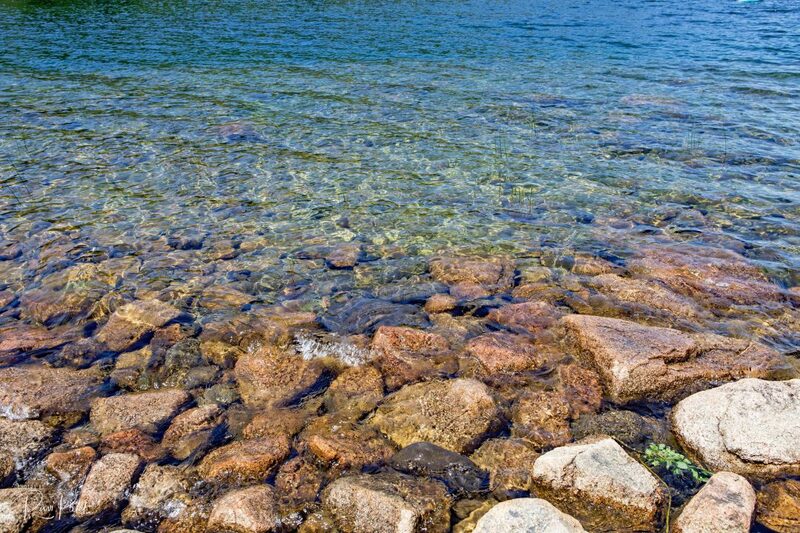 The pond was formed by the Wisconsin Ice Sheet during the last glacial period. Swimming is not allowed; however, non motor boats such as canoes and kayaks are permitted.